Wistaria Park provides boat access to Ootsa Lake and a small area for picnicking. From Burns Lake, take Hwy 35 and cross Francois Lake on the ferry. Follow the main road from the ferry for 17.5km and turn right onto Keefe’s Landing Road (Ootsa-Nadina Road). Follow this for 36.7 km to the signed road for Wistaria Park (on your left). If you reach Carroll Road you have gone too far. It is 700 m from the Keefe’s Landing (Ootsa-Nadina) Road to the lake. History: Wistaria Provincial Park was designated as a Class A Park in 1981 by the Provincial Government. Cultural Heritage: Wistaria Park lies within the asserted traditional territories of the Sekanni-Carrier and Wet’suwet’en First Nations. 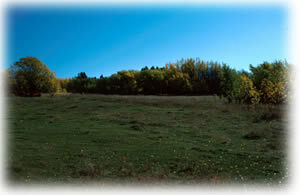 Conservation: Wistaria Provincial Park lies within the Bulkley Basin Ecosection. Approved Management Direction Statement [PDF] for Wistaria Provincial Park is available online in pdf format. Wistaria Park provides access to Ootsa Lake where there are kayaking and canoeing opportunities. This park has a singlewide concrete boat launch with a gentle grade. Boaters must use caution on Oosta Lake due to weather conditions and underwater hazards such as submerged stumps and trees.